Data are usually stored in databases with temporal components and quantitative values. In temporal databases, each data item has its own exhibition periods. In other word, early items have a longer lifespan. Item lifespan must be considered in mining process for fair and accurate results. Otherwise, extracted patterns may not exhibit the associations of items correctly enough. Some efficient algorithms have been thus proposed for extracting fuzzy association rules from quantitative temporal transactions. However, the membership functions affect rule discovery. Learning or tuning the membership functions for fuzzy temporal association rules mining is thus necessary. 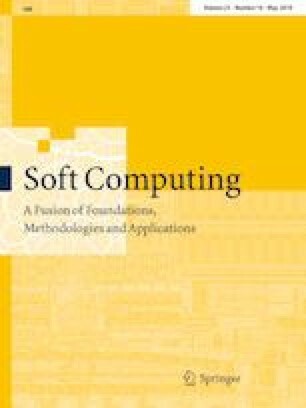 In this paper, we combined fuzzy temporal mining concepts into a fuzzy-evolutionary approach and designed an efficient fuzzy temporal-evolutionary mining process based on bees algorithm to find suitable membership functions for fuzzy temporal mining problems before searching for temporal frequent itemsets and fuzzy associations. Experimental results show that the proposed method exhibits good performance with respect to the effectiveness of the obtained solution.